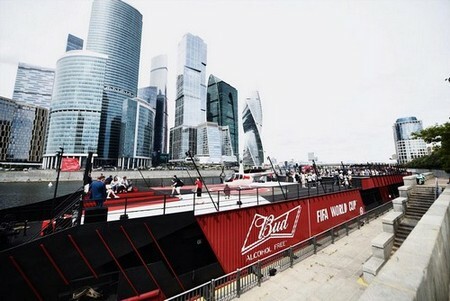 The unique barge of the official sponsor – the BUD brand, which became one of the most memorable activities of the FIFA Confederations Cup 2017, will return to the water area of the Moskva River for the period of the 2018 FIFA World Cup™, with a new design and to bring elite guests euphoric energy and incredible experience. During the 2018 FIFA World Cup™, guests’ attention will be focused on the double-deck BUD Boat. Loud parties in the light of bright spotlights and the unique concept combining the premium elements of decor and urban style will grant the guests amazing summer. ‘As the official sponsor of the FIFA World Cup™ for more than 30 years, we know exactly how to create an atmosphere of an epic football holiday. 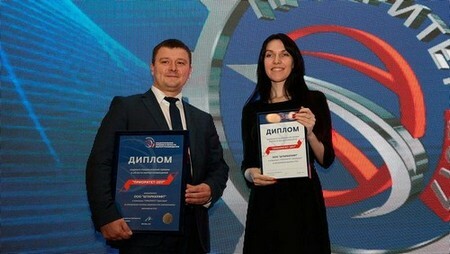 Our project is unique not only for Russia, but also for the whole world. BUD Boat had attracted huge attention of both residents and guests of the capital during the “final rehearsal” of the FIFA World Cup™ – FIFA Confederations Cup 2017. However, we decided not to limit ourselves and completely updated the concept for the main tournament of the four year period. We are sure that BUD Boat will help football fans to experience euphoric energy and will find a response in their hearts,’ said Konstantin Tamirov, Marketing Director of AB InBev Efes. The BUD Boat decks will feature a bar, a food market and a giant screen for watching the 2018 FIFA World Cup™ matches. The focus of attraction and an excellent photo point will be a helicopter pad and an onboard jacuzzi with a bar. A great view from the water to the historical center of the Russian capital will complete the euphoric energy, while the captain of each party – a DJ – will create the right atmosphere for the brightest dancing marathons of the season. The ВUD Boat will launch its cruise on the first day of the tournament, June 14, and make incredible trips around central Moscow, granting the guests of the 2018 FIFA World Cup™ the unique opportunity to see the main sights of the city in the company of elite guests from around the world. All news and details from the organizers are settled in social networks Facebook and Vkontakte.